As the founding partner of The Lones Group, Denise Lones brings over two decades of experience in the real estate industry. With expertise in strategic marketing, business analysis, branding, new home project planning, product development, and agent/broker training, Denise is nationally recognized as the source for all things real estate. Denise’s background in residential real estate sales and management includes an impressive list of awards. Using custom marketing campaigns and business development systems she personally created, she was consistently among the highest producing REALTORS® in a marketplace of 3,000+ agents. She then went on to brokerage ownership / management and led her office to the number one position in her marketplace. 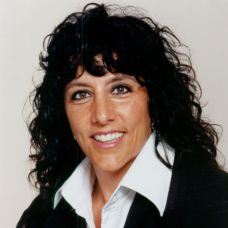 She has helped numerous real estate brokerages and builders achieve success. In 2004, Denise was awarded the prestigious Hugh Hawkins Instructor of the Year Award by the Washington Association of REALTORS® and more recently, Denise was nominated by Inman News as one of 2011’s "100 Most Influential Real Estate Leaders." Denise holds the esteemed M.I.R.M. designation from the National Association of Home Builders- the top national achievement for new home marketing. She also holds the CMP and Master CSP designations from NAHB and is a certified CSP and IRM instructor. She holds the GRI designation and is also a GRI instructor. Denise is also a licensed real estate managing broker. As a columnist for isucceed.com, Realty Times, the National Association of Home Builders, and the Washington Association of REALTORS®., Denise has a strong voice in the real estate community. In addition, Denise is a regular contributor to several industry blogs, including Active Rain, RealTown®, and Crackerjack Agent. Denise is an instructor for many prominent trade groups and educational institutions, including isucceed.com®, Master Builders Association®, New Home Sales and Marketing Council, Washington Association of REALTORS® as well as other state and local REALTOR® Associations, Washington State Department of Licensing, Washington State Housing and Finance Committee, and numerous real estate companies including Windermere Real Estate, Coldwell Banker Real Estate, ReMAX Real Estate, and Prudential Real Estate.